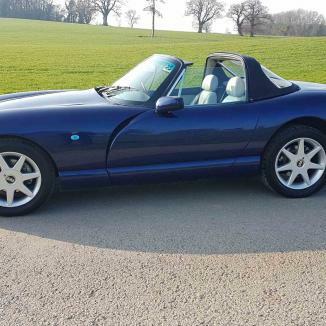 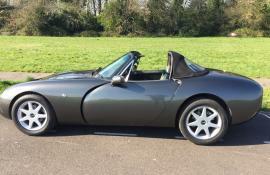 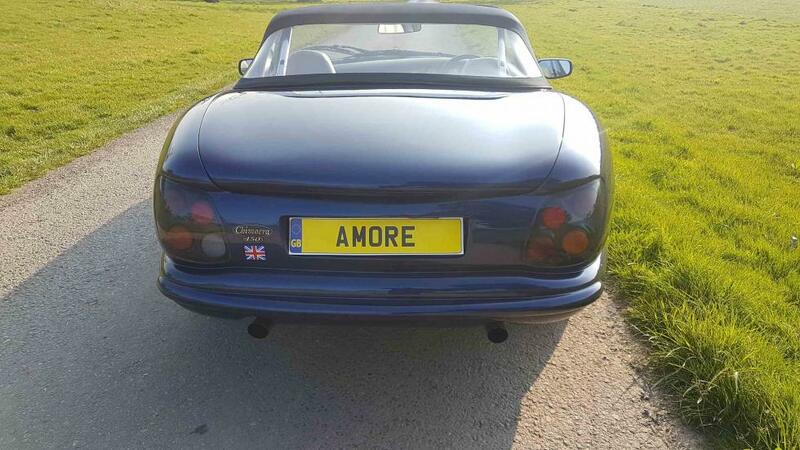 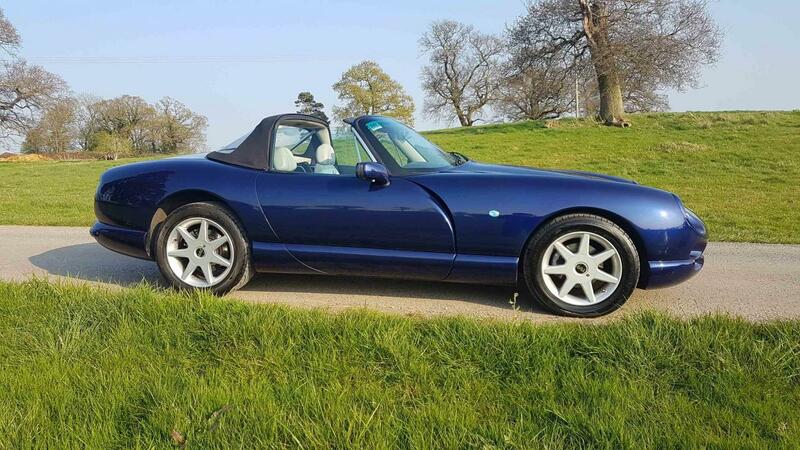 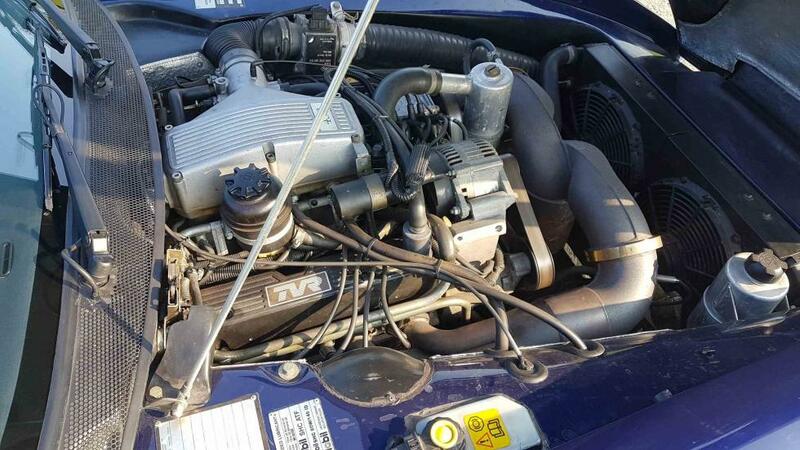 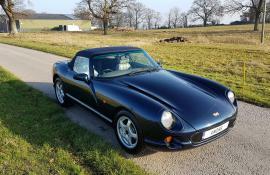 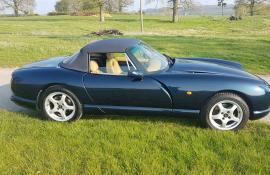 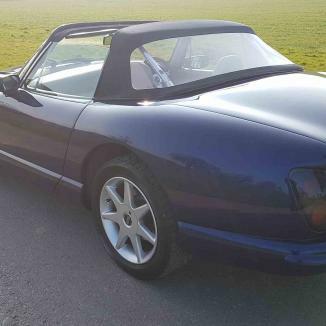 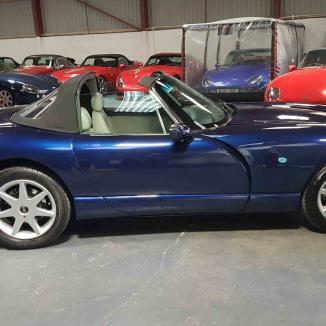 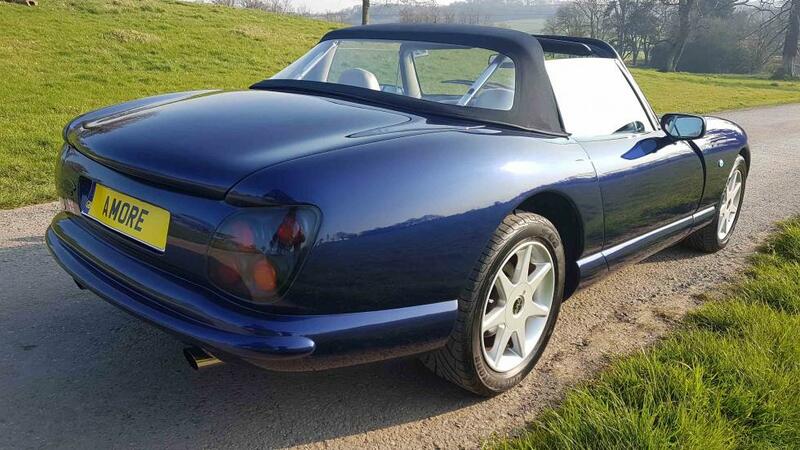 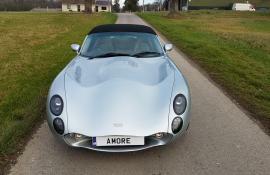 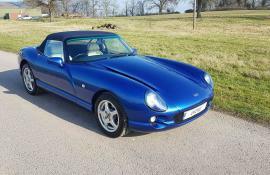 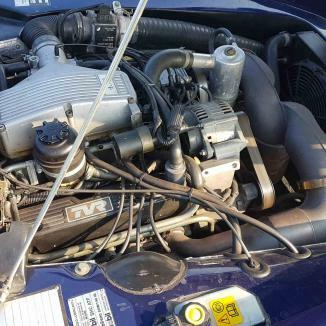 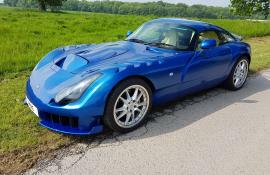 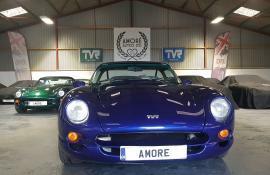 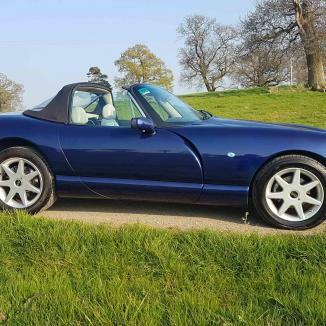 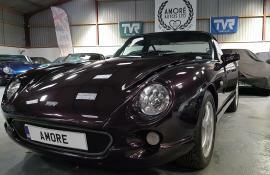 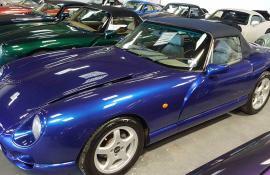 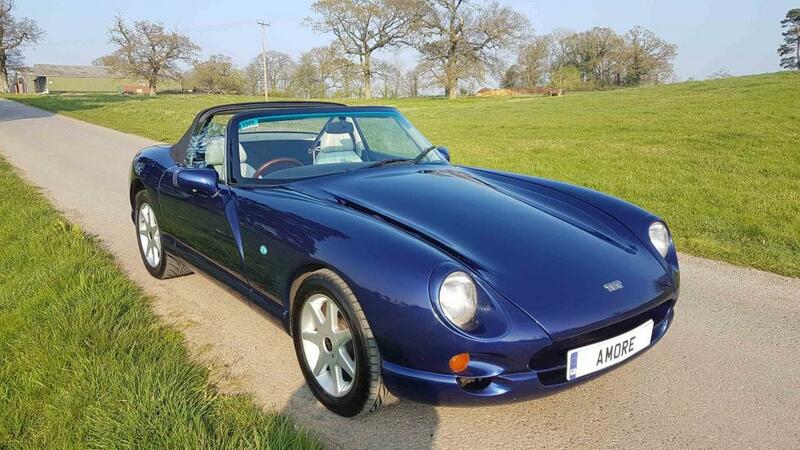 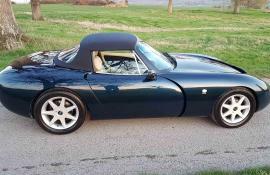 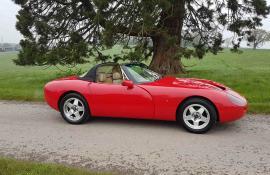 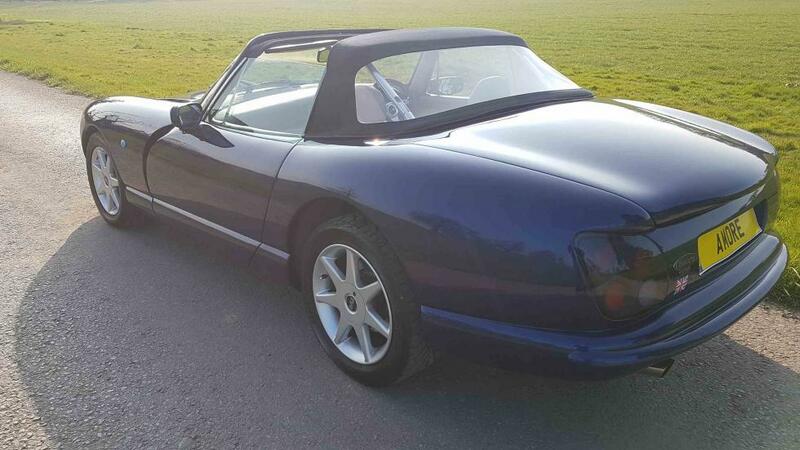 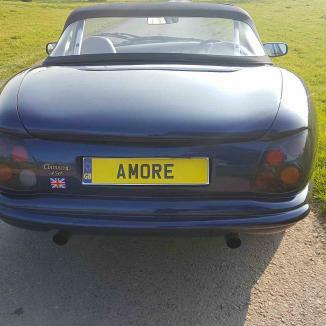 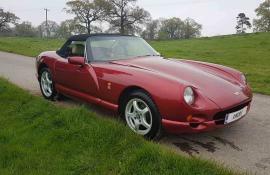 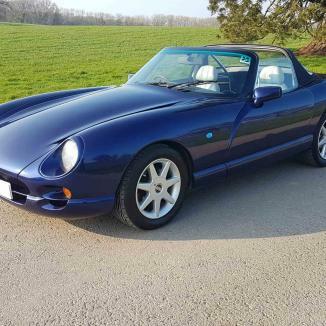 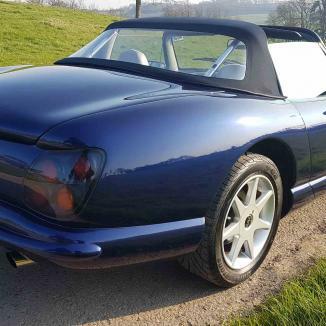 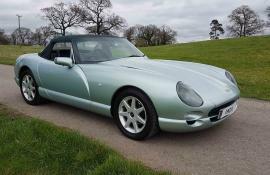 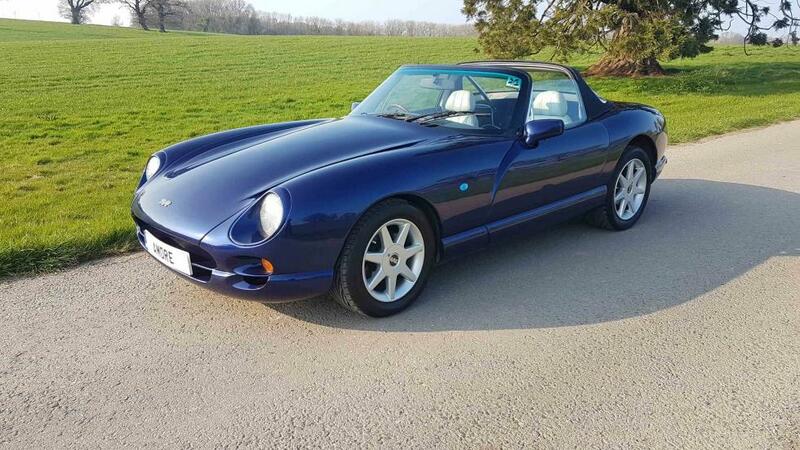 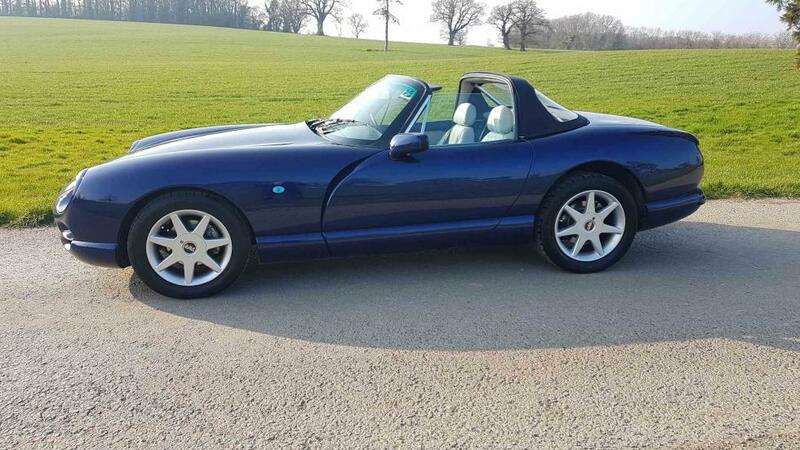 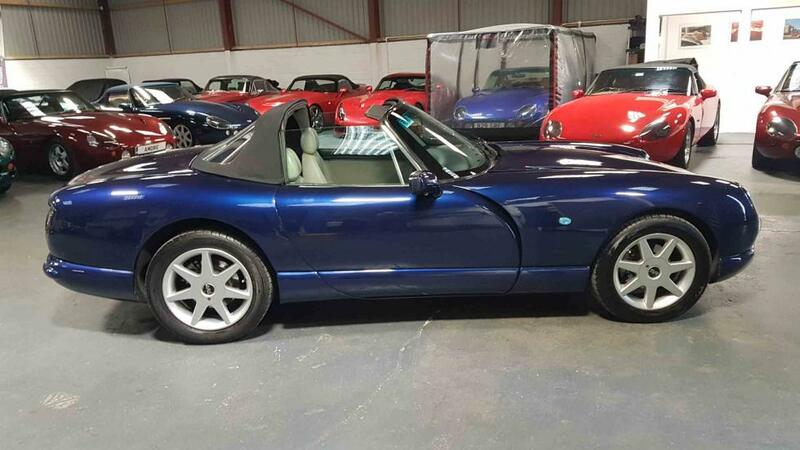 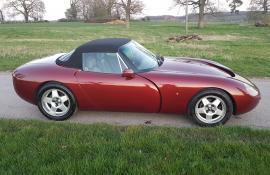 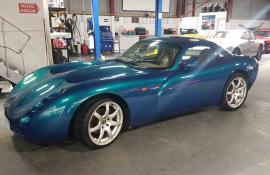 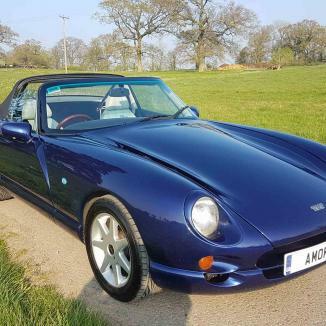 Lovely Iris Blue late 2000 TVR 4.5 Chimaera. 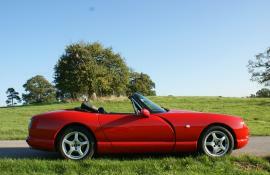 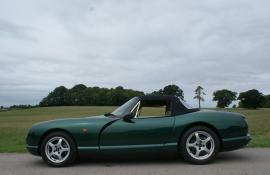 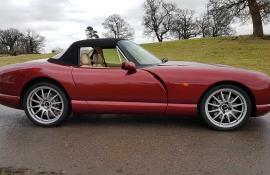 36,600 miles from new (3 owners) the car has been looked after well by the last owner of 15 years. 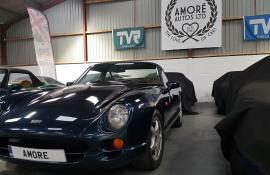 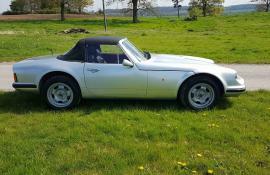 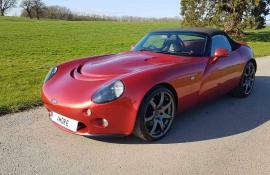 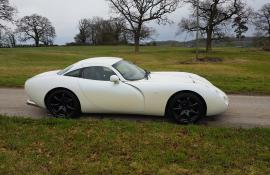 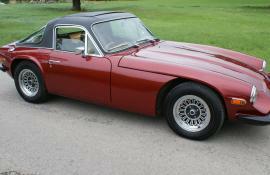 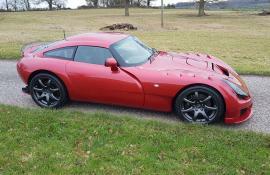 It’s also been maintained by our own local TVR mechanic. 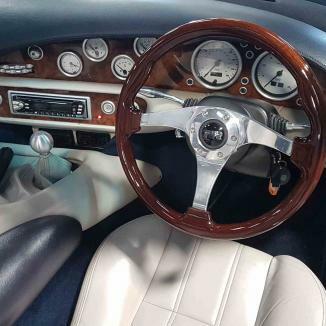 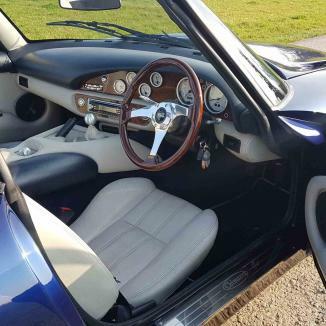 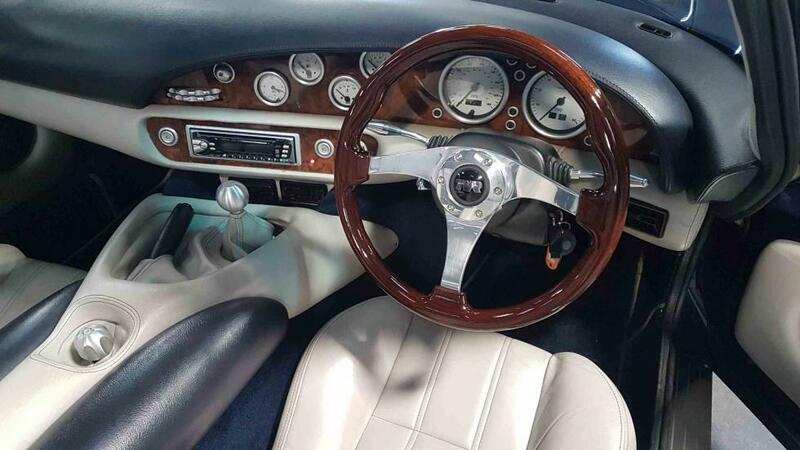 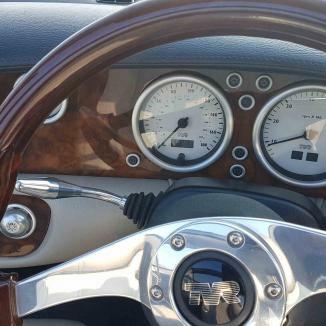 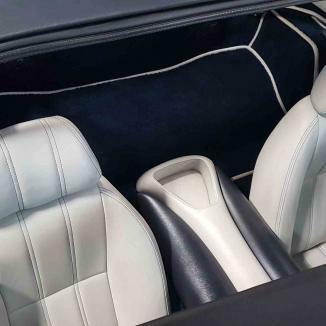 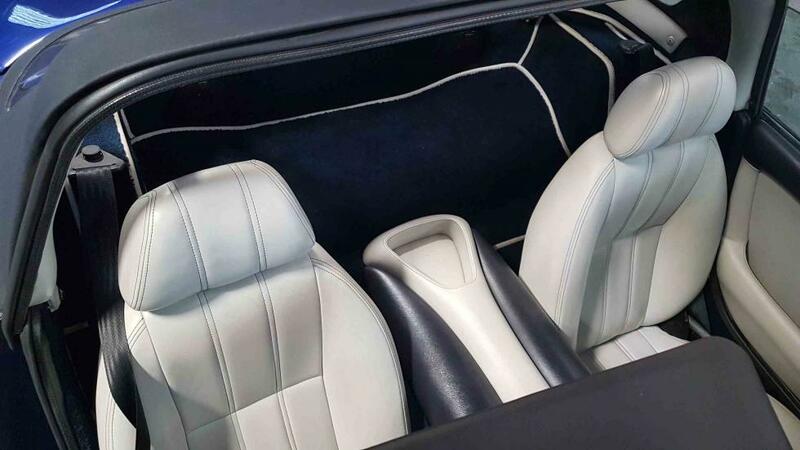 The Iris blue is complimented with portland grey/blue leather interior, wooden dash, and wooden steering wheel. 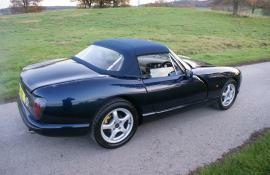 The dash top is navy. 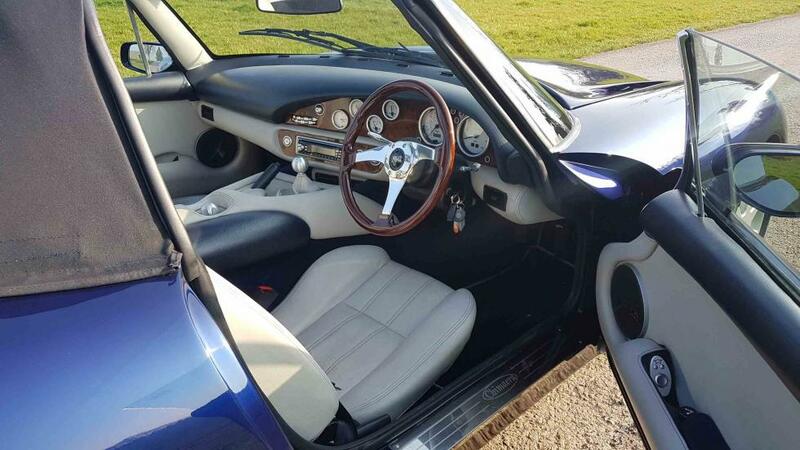 Paint overall is excellent with the usually age-related marks. 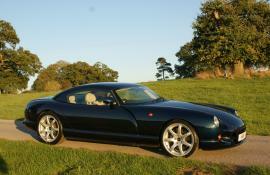 The car has the later lights and one of the last cars fitted with Estoril wheels. 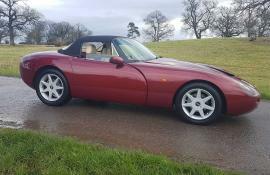 Last 12k service just over a year ago and done less that 1000 mile since. 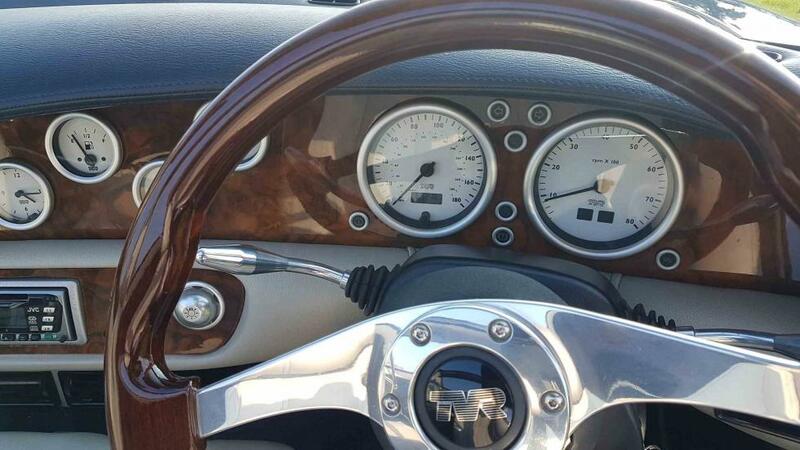 There was a speedo replacement at 1,400 miles (at new). 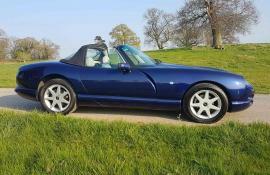 Another locally known car and fully warranted. 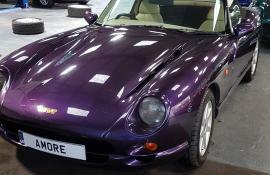 Please call/email for more details and videos.